The military-style Tough Mudder meets the Coast Mountains in this epic event weekend featuring two days of Tough Mudder Classic and the Tough Mudder 5K. Think you’ve conquered the Whistler mud run already? Think again. Choose your challenge, tee up your team, set up camp in Whistler and get ready for the ultimate obstacle course in rugged Whistler Olympic Park. Travel Tip: Plan ahead to make the most of your events this summer. Avoid peak travel times, take advantage of car-free transport options and enjoy free transit on weekends. At a glance: 13 – 16 km, 25 obstacles. The same course is run both days. The mountain terrain at Tough Mudder Whistler might be beautiful, but don’t let that fool you, these slopes offer some thigh burning man-made obstacles for a totally unique experience. The course changes every year with details released closer to the event - you will have to prepare for anything and everything! Previous years have seen participants taking on ice water plunges, electrical shocks, crawling, climbing and more. Register for the Tough Mudder Classic Whistler online now. Are you tough enough? Try, and you might just surprise yourself. You can do the event solo, but there’s nothing better than getting friends and workmates together to tackle the event as a team, helping each other through the obstacles. Be inspired and uplifted (literally!). The extra support will make your day. At a glance: 5 km, 13 obstacles. The same course is run both days. Register for Tough Mudder 5K Whistler online now. You can do the event solo to challenge yourself but you can also sign up with friends and do the event together, helping each other through the obstacles. Work teams are also welcome, with the new Tough Mudder 5K format lending itself to corporate teams. Be inspired and uplifted (literally!). The extra support will make your day. Theres no two ways about it - whatever event you sign up for you're going to need a place to rest and refuel at the end. 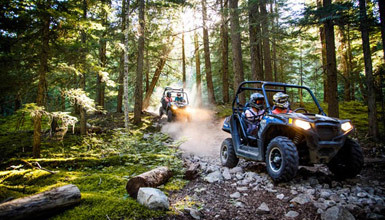 Located just 16 km north of the Tough Mudder site, Whistler mountain resort is THE place to stay. 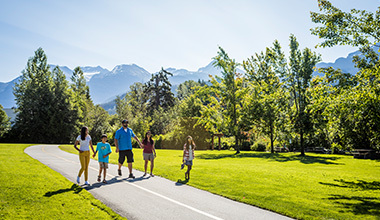 You'll want to add a couple days around the event to experience summer the Whistler way with a huge range of things to do, stunning scenery and a Village packed with sunny patios. Preparation is key to having Type 2 fun and testing your might on this muddy challenge.